2nd last day of dashboard week! 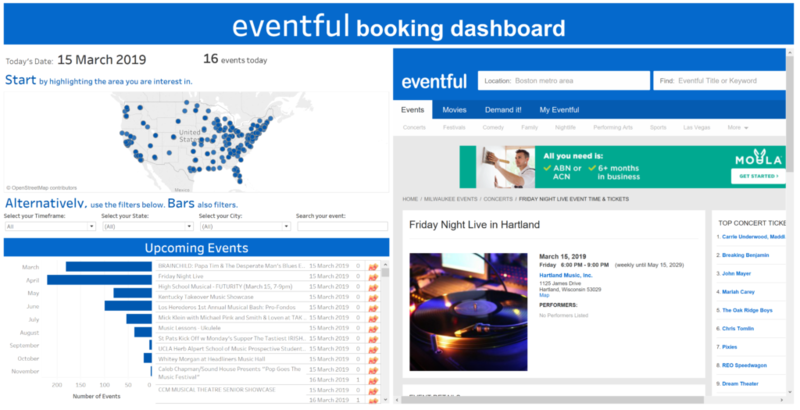 Our task was to use Eventful’s API to webscrape events from their website. The brief was quite open ended. Just use the API and make something. So the workflow starts as any scraping one does, with a download tool. After the JSON parse, the data had to be prepared in order to be massaged for Tableau. The trick with some scraping tasks is that when there are multiple pages which hold data, the 1st item on the 1st page will have an ID of 1, but the 1st item on the 2nd page will also have an ID of 1. In Alteryx, you will need to make a unique field somehow. What I did was concatenate the ID with the page number, separated by a dot. So the 1st item on the 1st page will have a unique ID of 1.1 and the 1st on 2nd page will be 1.2. This is important for the crosstab I had to perform. The rest of the workflow was mainly extracting information using text to columns as well as regex. So what did I really get from the scrape? To be honest, I didn’t feel like I had much of a story to tell, and with Cole’s saying ‘if you don’t have a story to tell, then don’t tell one’, still resonating in my mind, I decided to have a little fun with Tableau instead of finding insights. So what you see above is the eventful music events dashboard. It is an interactive dashboard which uses the information pulled from the website, which allows the end user to discover events they want to go to. Think of the original website, but better. You can search by region on the map, because everyone loves maps. 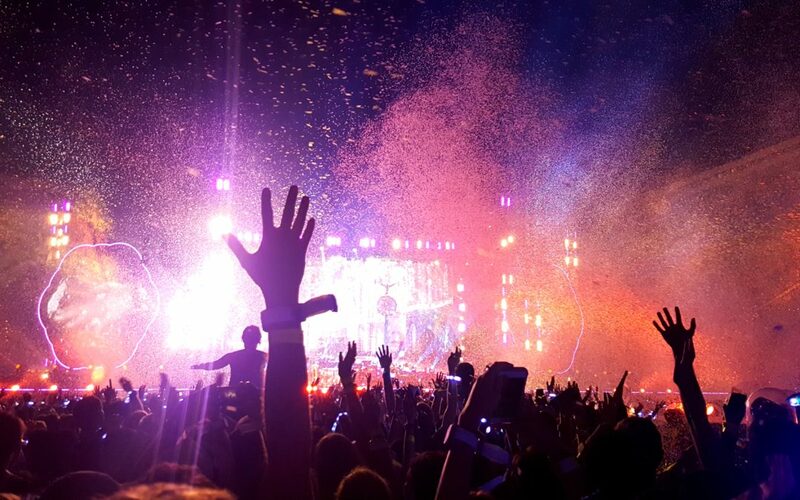 But even better yet, you can use the filters to really hone in on what music event you want to attend. You can select to view upcoming events in the next day, week or month or you can even search for a specific event. Know you want to go to Ultra Music Festival (as I do), then search for it and get tickets right there in the dashboard! Not sure what you want to see but know you want to do something in April? Go for it! Click on the bar. Ok, so the insight guy inside of me has been trying to shine through. From the charts that I have produced, we can see some clustering around the east coast. There seems to be a lot more events happening along the north east coast compared to the other regions in the US. The bar chart also shows that there is a tendency for advertising agents to advertise closer to the event date, as the majority of events is happening in March and April. Keep in mind though, that all the charts have been filtered to only show upcoming events, so the March numbers have been cut as it is already halfway through March while writing this. I hope you enjoyed this light-hearted dashboarding. Who said you can’t have fun at work? This is essentially how days at The Data School feel. Shameless plug I know 😊.